Credit Card Authorization Hold - What It Is and How to Use It. Placing authorization holds for credit and debit card transactions is a smart, safe, and easy way for merchants to protect themselves from fraud, chargebacks, and unnecessary refunds. While their usage is common within certain industries, most merchants accepting credit cards can—and should—take advantage of this helpful tool. An authorization hold is just what it sounds like: a hold put on funds, pending authorization. Sometimes known as card authorizations or pre-authorizations (pre-auths), merchants can use authorization holds to temporarily lock the funds for a particular transaction, ensuring they actually get paid for purchases made via credit or debit card. The process is easy to understand, but first a little background is needed. Completing a payment card transaction involves two steps: 1) authorizing the purchase and 2) settling the transaction. The authorization process doesn’t transfer funds from the cardholder to the merchant. It’s simply the bank’s way of telling the merchant that the funds for a purchase exist. When a customer pays with a credit or debit card, the merchant contacts the cardholder’s issuing bank and requests an authorization code. The bank’s response to the authorization request will tell the merchant how to proceed—see the chart below for examples of possible responses. Approved The account is in good standing, the card has not been reported lost or stolen and has sufficient funds to cover the transaction. 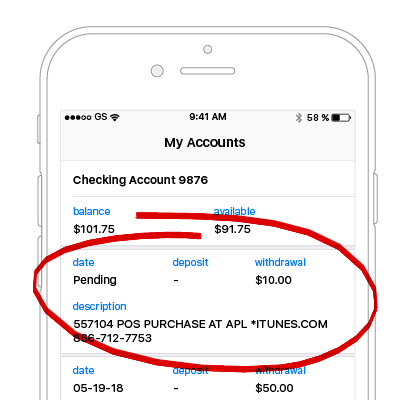 Approved Partial The account is in good standing, the card has not been reported lost or stolen, but there may not be sufficient funds to cover the entire transaction. Declined The account is not in good standing, the card has been reported lost or stolen, or the account doesn't have sufficient funds to cover the transaction. Referral The bank is indicating there is an unspecified problem with the credit card number. The customer should contact the issuing bank. Incorrect PIN The declined the transaction as the customer entered an incorrect PIN. The customer may attempt to re-enter their PIN. Pick Up Card The issuing bank has declined the transaction and requested that the physical credit card be retained (normally because the card was reported lost or stolen). If the authorization request is approved, the merchant can simply wait for the account to be settled. However, merchants also have the option of placing an authorization hold on the cardholder’s account. This hold temporarily decreases the consumer’s available credit limit (credit card) or available funds (debit card), in anticipation of completing the transaction. How Do Authorization Holds Work? The issuing bank automatically puts a hold on a predetermined amount of funds or available credit. Once the sale is complete, the transaction is submitted for settling. The temporary hold is released. The final cost of the purchase is transferred from the customer’s account to the merchant. If the process was that immediate, there would be no need for authorization holds. The reality, however, is that the actual transferring of funds only happens after the merchant has submitted a batch of transactions to the acquiring bank, which could take several days. Without an authorization hold, an unscrupulous customer could theoretically make a purchase, then drive straight to an ATM and withdraw all the money in an account. In that case, the gas station owner or other merchant would get stiffed. With a pre-auth in place, however, the money on hold can’t be touched until either the account is settled or the time limit runs out. The time limit for an authorization hold will depend on the business’s merchant classification code (MCC). Most debit card transactions have a hold of one to eight business days; for credit card transactions, the hold might last as long as a month. For the merchant, being aware of the time limit is important for two reasons: one, if the transaction isn’t settle within the allotted time, the card will need to be rescanned, which is a hassle at best, and impossible at worst. The other reason is what’s called a “misuse fee.” This is when Visa or MasterCard impose fees for authorizations that are not settled (or reversed) within the given time parameters. A situation where this might occur could be a processed transaction placed on hold until the order is shipped. For customers, this sounds good: it means their card won’t be actually charged until their purchase is on its way. But if the pre-auth remains unsettled for too long, the merchant will be slapped with a misuse fee. There are multiple reasons for merchants to use authorization holds, and they all deal with building a better business. The major card schemes don’t charge interchange fees (or MDR) until after a transaction is authorized and the money is transferred from the customer’s account. In many cases, processors don’t assess discount rate fees for pre-authorizations (although the flat transaction rate will normally still apply). 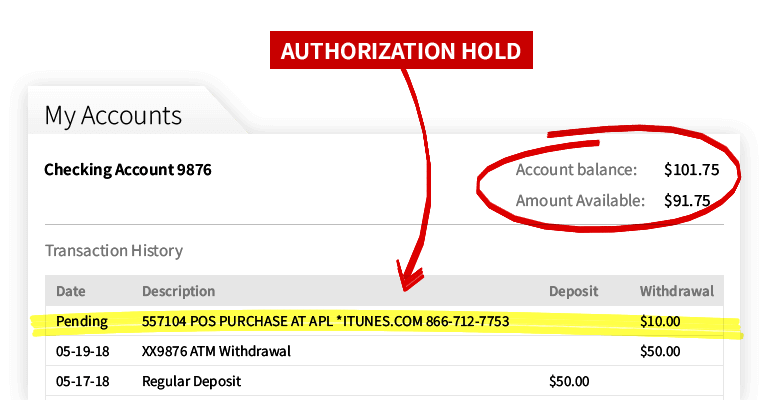 Using authorization holds can also prevent the need to issue refunds. If an order is canceled before the transaction has been settled, the funds are simply released from hold. Merchants not only avoid the hassle of issuing a refund, they’re also saved any refund fee the bank or processor might impose. Keeping Customers HappyThere’s always the possibility that an order has to be delayed or can’t ship at all. Openly telling customers that their cards won’t be charged until their order is shipped promotes a feeling of trust and helps fight cart abandonment. At the same time, using an authorization hold allows merchants to minimize risk while offering delayed billing. 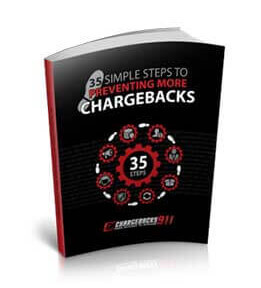 Curtailing ChargebacksIf there is a single no-brainer reason for using authorization holds, it’s that they’re the perfect defense against chargebacks. While it’s important to settle transaction batches quickly, using a pre-auth gives merchants a window in which to validate charges and look for potential fraud. Minor Missteps Could be Costing You Major Revenue. Learn more. As long as the funds for a transaction are held but not settled, the cardholder can’t dispute the transaction or issue a credit or debit card chargeback. Fraudsters can’t engage in “cybershoplifting” by filing chargebacks on purchases made using stolen credit cards. Can Authorization Holds Go Wrong? Authorization holds present a lot of advantages for merchants, but there are some potential pitfalls to avoid. For starters, they can be confusing, especially in the area of hold times. All of the parties involved—merchants, banks, and card schemes—set outside time limits on how long a hold can last. None of these time limits have to agree, and they usually don’t: depending on a variety of circumstances, the hold time could be minutes or days. Not every merchant will have the same rules, and issuers can have different rules for different types of sales. Hold times can even be different for debit vs. credit cards. To complicate matters further, some industries are allowed to place an authorization hold for longer periods or more than the immediate transaction cost. Hotels, for example, can estimate the final bill and place a hold in that amount for the duration of the guest’s stay. The final charges, however, won’t be known until the hotel staff can review the guest’s activities (room service, long distance calls, etc.). The set-up may be confusing for merchants, but it’s even more so for consumers, who only see that their funds are inaccessible. They’re most likely to blame merchants for holding onto their money, when in reality, merchants don’t see any of the hold money—just the actual invoice amount. Of course, that doesn’t keep banks from passing the blame on to them when cardholders complain. The flip side to all of this is the fact that pre-authorizations do time out, normally after five days. That’s typically more than ample time to get the transaction settled; even if the hold expires, however, merchants can re-run the card (with the cardholder’s permission, naturally). That doesn’t guarantee the customer will still have the necessary funds, but the odds are in your favor. Regular use of authorization holds can be a simple and effective way to protect your business from chargebacks … but by itself, it’s not enough. Merchants need a dynamic risk-management strategy that can evolve at the same pace as fraud techniques. If you’d like help managing chargebacks, let us know. We’ll show you exactly how much more you could earn by preventing chargebacks and winning representment.